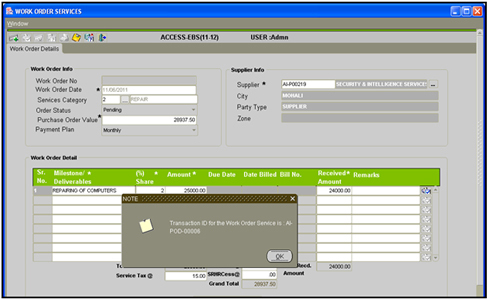 EBS 5.0 infuses efficiency into the procurement system using flexible automated purchase processes. 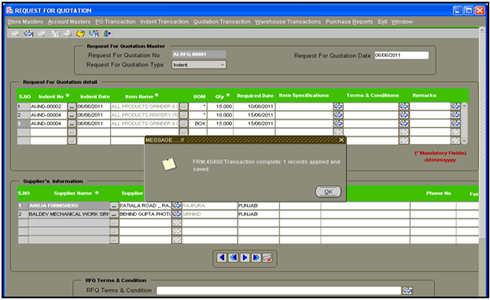 Purchase Module Streamlines procurement of required raw materials. 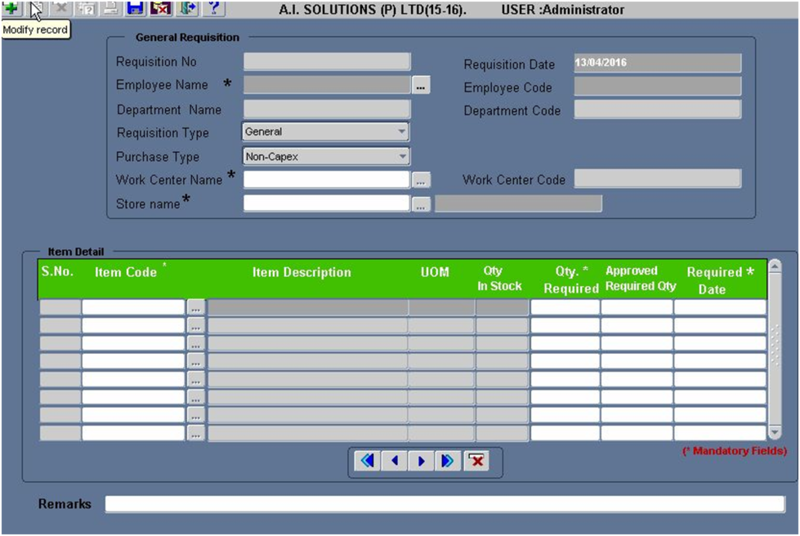 It automates the processes of identifying potential suppliers, negotiating price, awarding purchase order to the supplier, and billing processes. 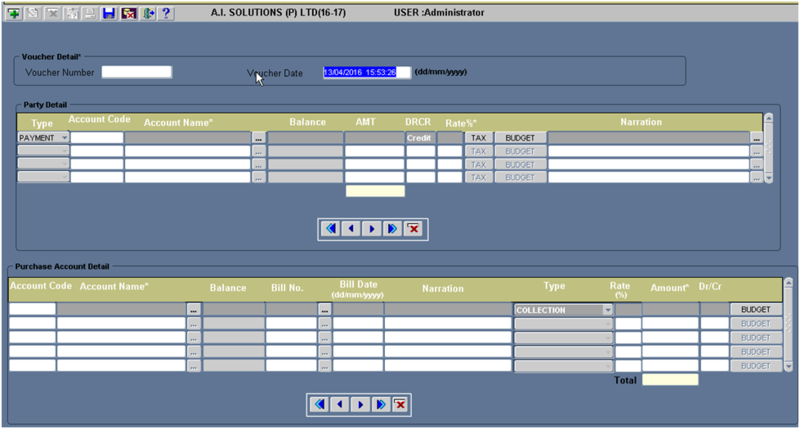 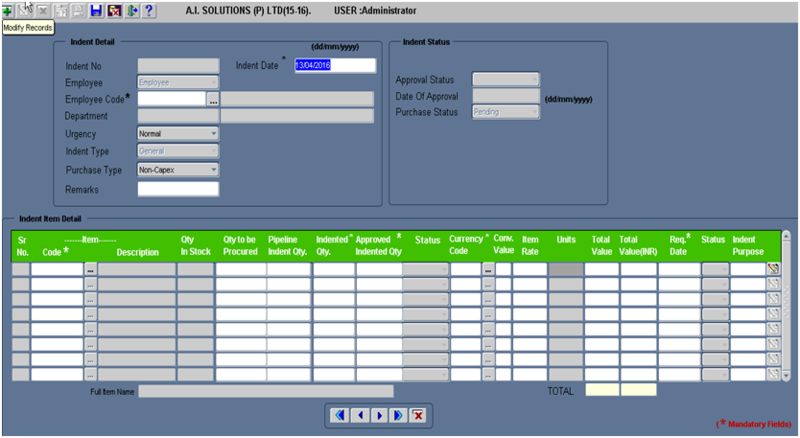 Purchase module is tightly integrated with the inventory control and production planning modules. 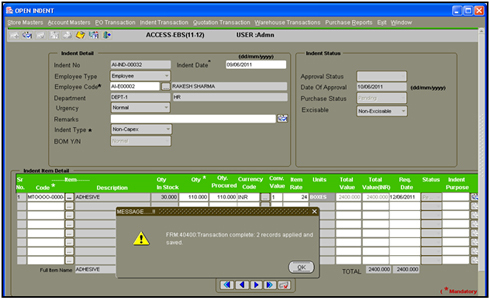 Purchasing module is often integrated with supply chain management software. 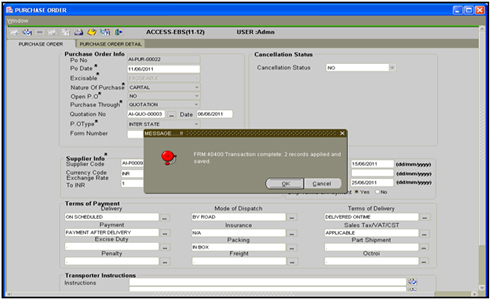 The Material indents are generated when new sales order is considered by PPC for Production Planning or when the stock level fall below the reorder stock level, and subsequently. 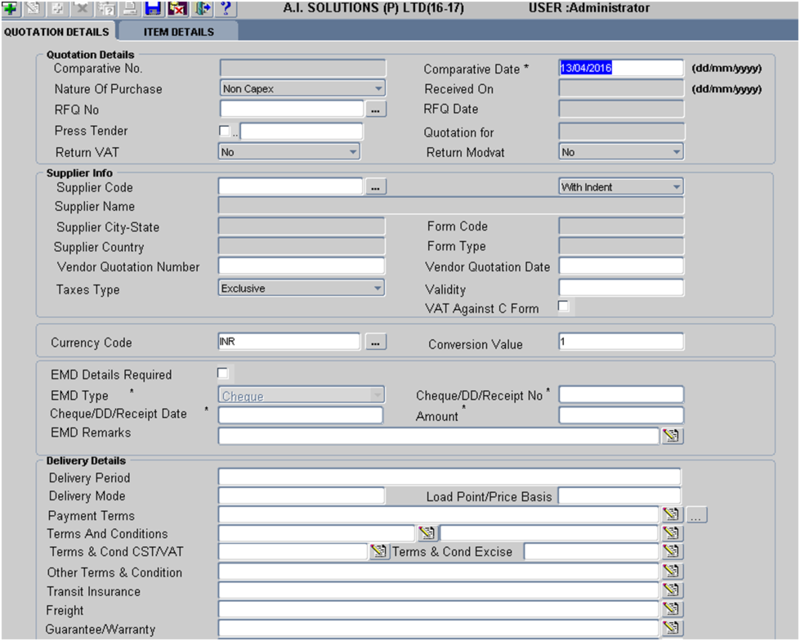 When we need to purchase some item so we need the quotation for that item from suppliers. 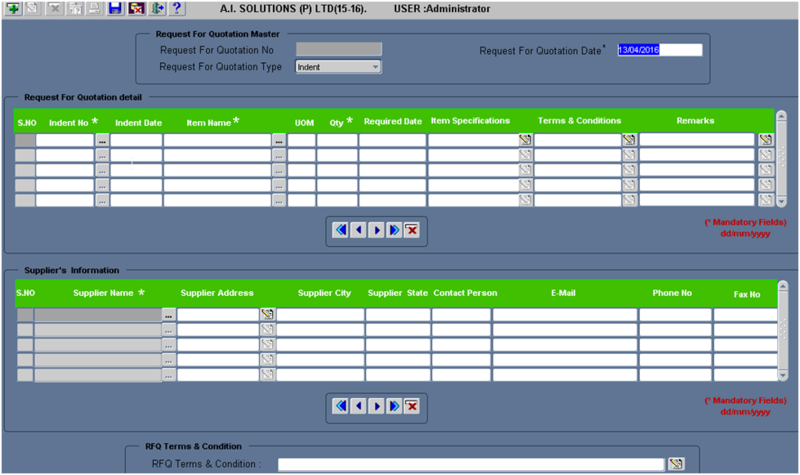 So by using this form we send the request to our supplierâ€™s for quotation of the required item. 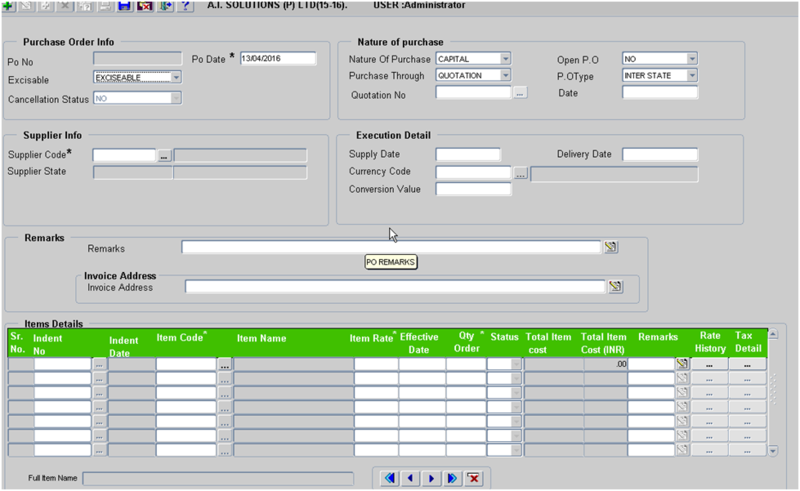 Purchase orders are generated on the bases of Quotation comparatives or the Purchase agreements. 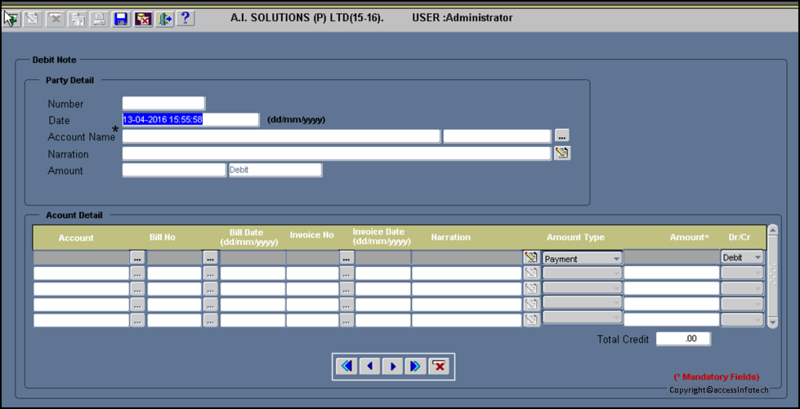 This process is accomplish with reliable interface with Accounts and Stores. 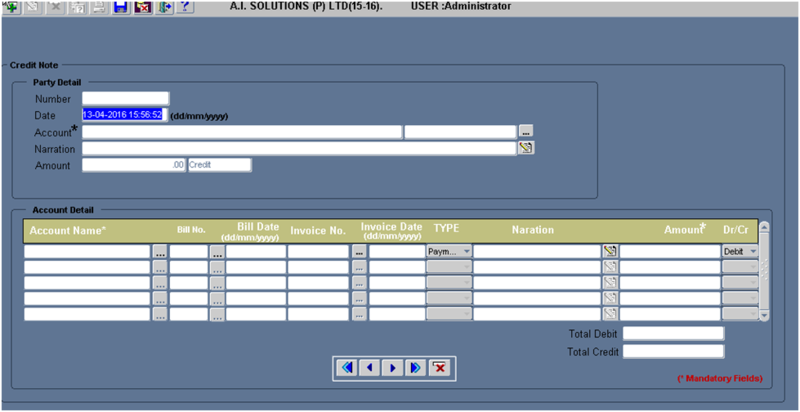 In service purchase order process triggers from the Service Purchase agreement form and end with the Purchase bill entry. 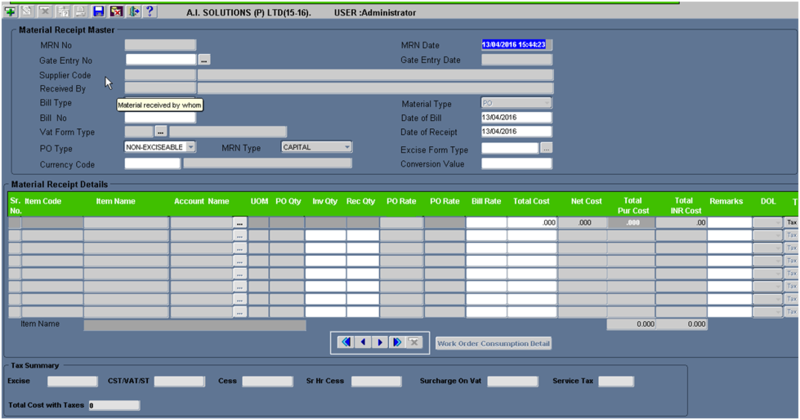 Purchase order Services. 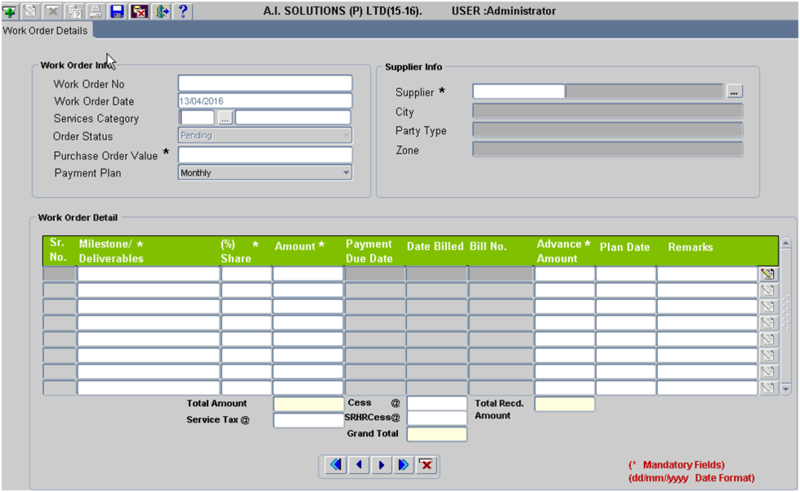 Will be used for the raising the Purchase order for services agreement on the basis of the service category.